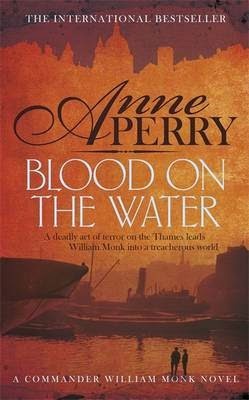 It is London 1865 and Commander William Monk, head of the River Police is in a rowing boat on the Thames with his deputy Mr Orme, when suddenly they see a large pleasure boat "The Princess Mary", a hundred yards or so from them explode! Monk and Orme immediately start rowing back to the vicinity of the troubled vessel and try to take as many of the survivors from the water as they can, there seems to be bodies everywhere. Other boats and crafts in the river also render assistance. The resulting disaster claimed the lives of 179 passengers. Monk with his men, immediately started investigating what caused the terrible incident including him going down to to the wreck in a diving suit the next morning. However, later that morning he was astonished to have the investigation taken from him by orders of the Home Office who said that the Commander of the London Metropolitan Police should head the investigation. Monk is completely astonished by this surprising turn of events and angry that his team of men who are very knowledgeable about the River Thames and its users should have had the investigation taken from them for probably political reasons. The Suez Canal was being constructed during the period 1859 to 1869 and there was a lot of antipathy to this as it was felt that British interests would suffer and lots of jobs and money would be lost and there was a lot of hatred shown towards the Egyptians as a result. There was much pressure directed at the Metropolitan Police to find the guilty culprit who caused the explosion as soon as possible and the Metropolitan Police later arrested an Egyptian man, who was quickly tried and sentenced to hang for the crime. However, William Monk, Head of The River Police investigating a separate crime, discovers that the case against the Egyptian is flawed. He makes his misgivings known and he is surprised to be ordered to reinvestigate the crime again himself. The story moves on at a very fast pace until the very surprising conclusion is reached almost on the last page. This author published her first mystery book in 1979 with the Inspector Pitt story, THE CATER STREET HANGMAN, she has since then published a further twenty-nine books in that series together with additionally a further twenty books about William Monk, five in her World War 1 series and a further sixteen books in other series or stand-alones. The author's research is truly first class and she cannot be faulted on anything. Although she has published so many books each one of them is very interesting and non formulaic, well plotted, with well-drawn characters. It is not necessary to read all the earlier books to appreciate this one as the author explains everything. Although I have read a few of the earlier books in the William Monk series and was familiar with the character I have many more to read to catch up with all the back stories of the characters described. I have also read for review some of the titles in her Inspector Pitt series and enjoyed them also. Anne Perry is an extremely gifted author and is very deserving of the worldwide success she has had. I enjoyed this book enormously and still cannot get the plot out of my mind. I look forward to reading more books in any of the series. Extremely well recommended.